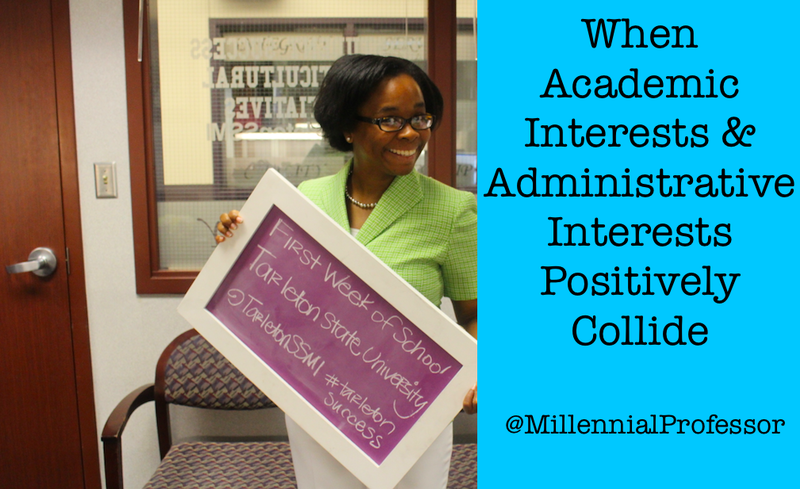 As a mid-level higher education administrator, it is important realize how your academic field positively affects your administrative work. This has been especially evident for me during this past academic year when my academic interests and administrative interests collided in four beneficial ways. When writing any e-mail message for students, faculty, or staff, I always strive to write the message for the audience and to avoid any potentially interesting responses by never utilizing the BCC line and sparsely utilizing the CC line. This is especially important when conversing about interesting issues in higher education. I always reply to the original sender and almost never include the individuals carbon copied on the e-mail, because your sender intended for this message to go to you, you do not have permission to reply to every cc'ed on the e-mail. Also, never send e-mails that you do not intend for others (in addition to the intended party) to read. This semester, student success and multicultural initiatives created an infographic instead of a bulky (and potentially unread) annual report for the university's faculty, staff, and students. In this infographic, the data is presented in an engaging (and graphical) way and I think the intended parties are more likely to understand what we do in student success and multicultural initiatives instead of sending the data-based message in a report. Last year, we formed a university mother's group and a group of diverse faculty members. Our membership for both groups ranges between 25 and 60 members. These groups serve as wonderful sounding boards for the mothers and diverse faculty and they also gain ideas and form research collaborations. Both of the aforementioned groups helped me through my journey as a new mother and I wish that I had the faculty of color group when I persisted through the tenure track. Each of the aforementioned skills (and associated courses) continue to make an imprint on my life as a mid-level administrator on a daily basis. I am thankful for delightful and fulfilling experiences in the classroom as well as working with an amazing group of academic leaders at the university. 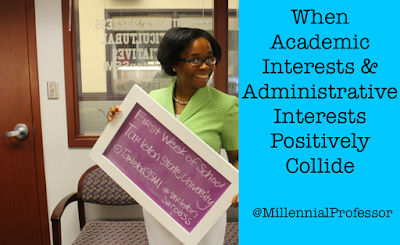 Administrative experiences make academic experiences richer and academic experiences make administrative experiences richer. We become more because we teach, we reach more because we serve others through administrative duties in higher education.